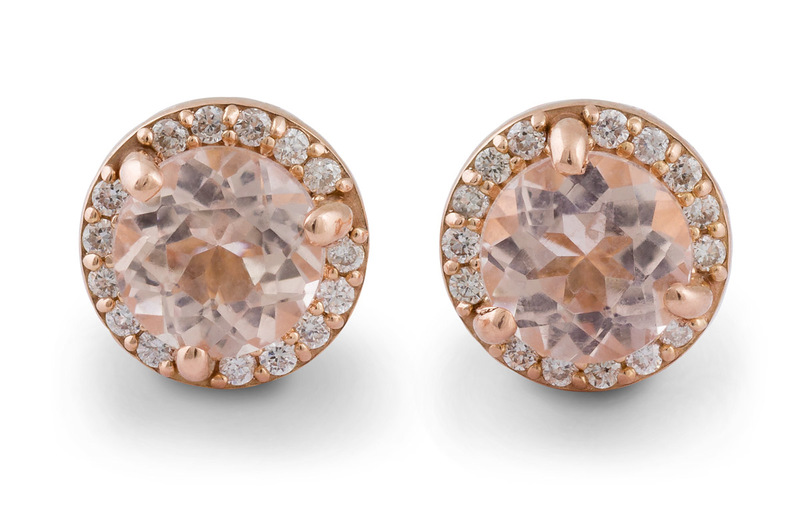 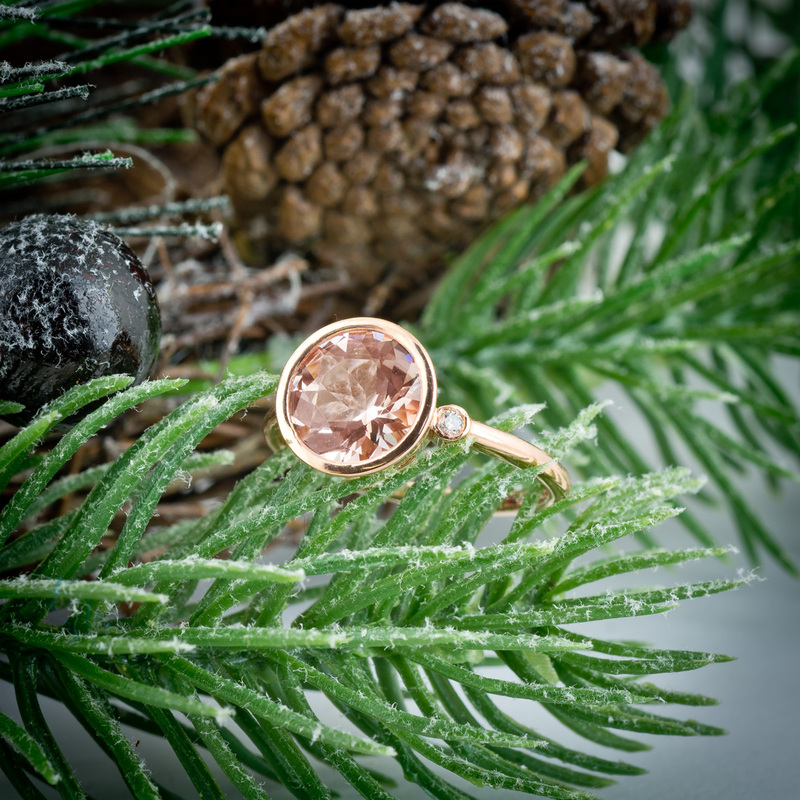 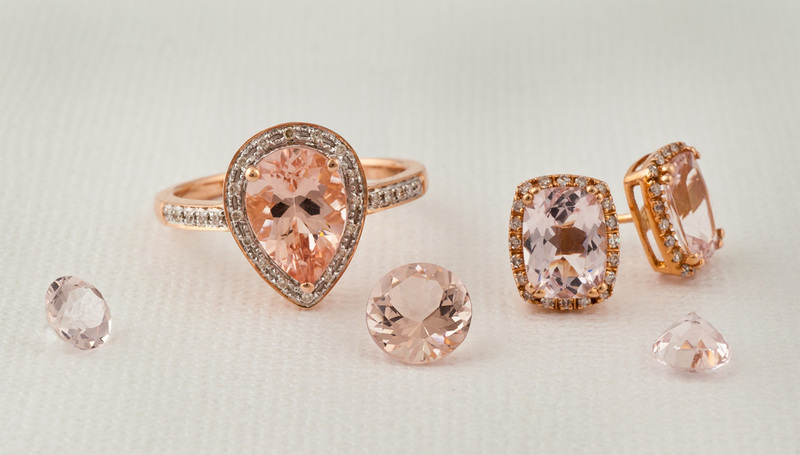 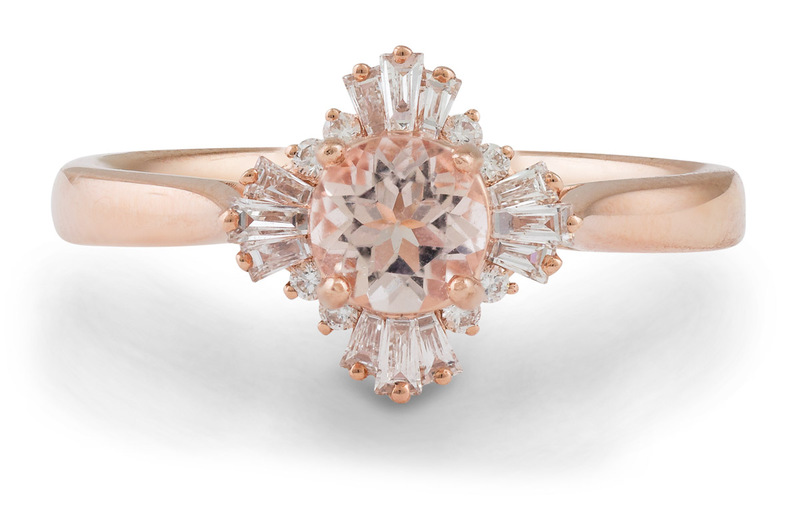 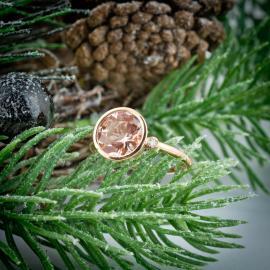 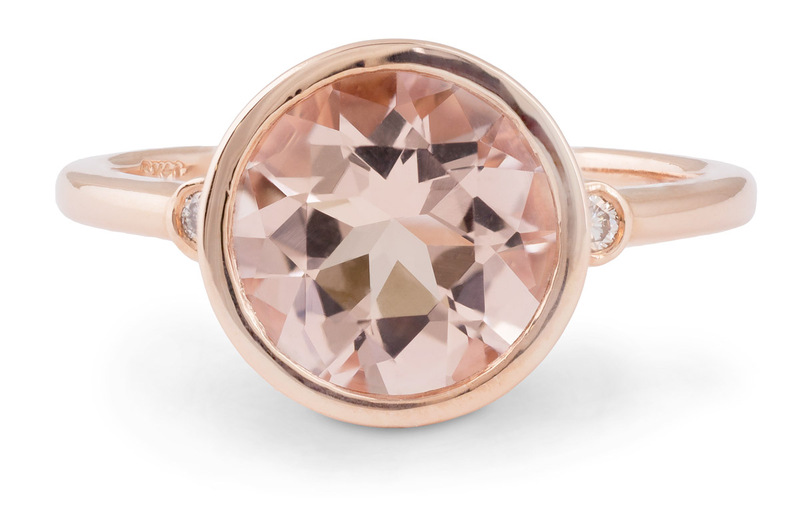 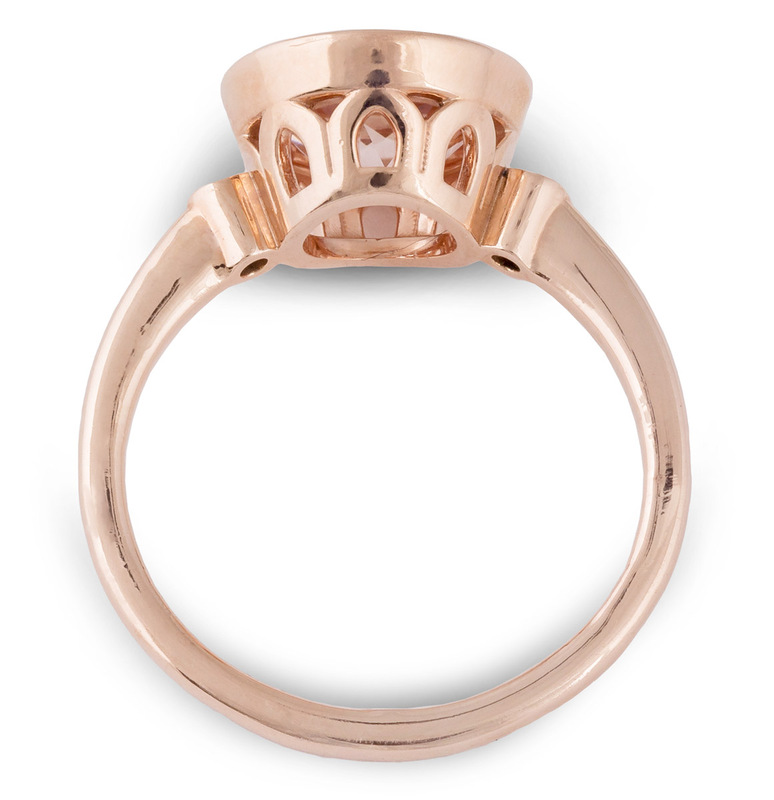 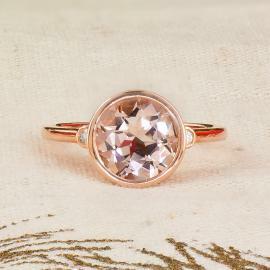 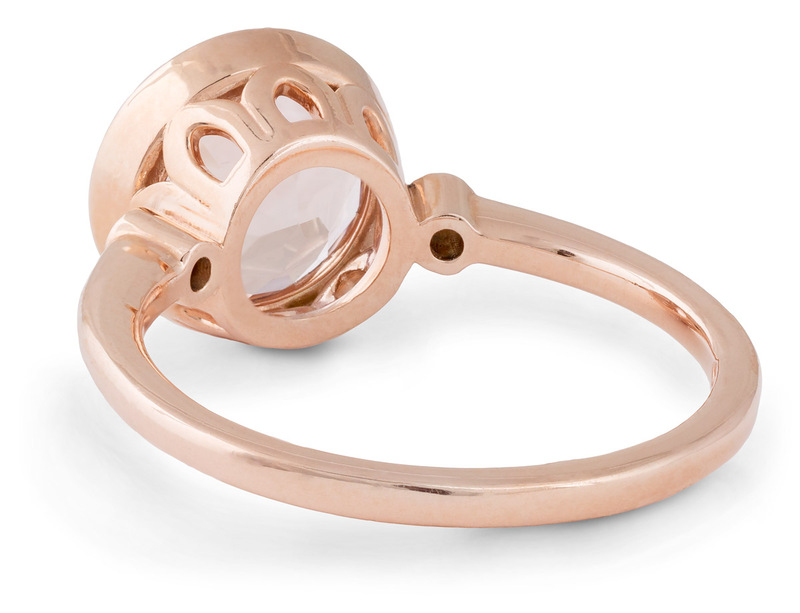 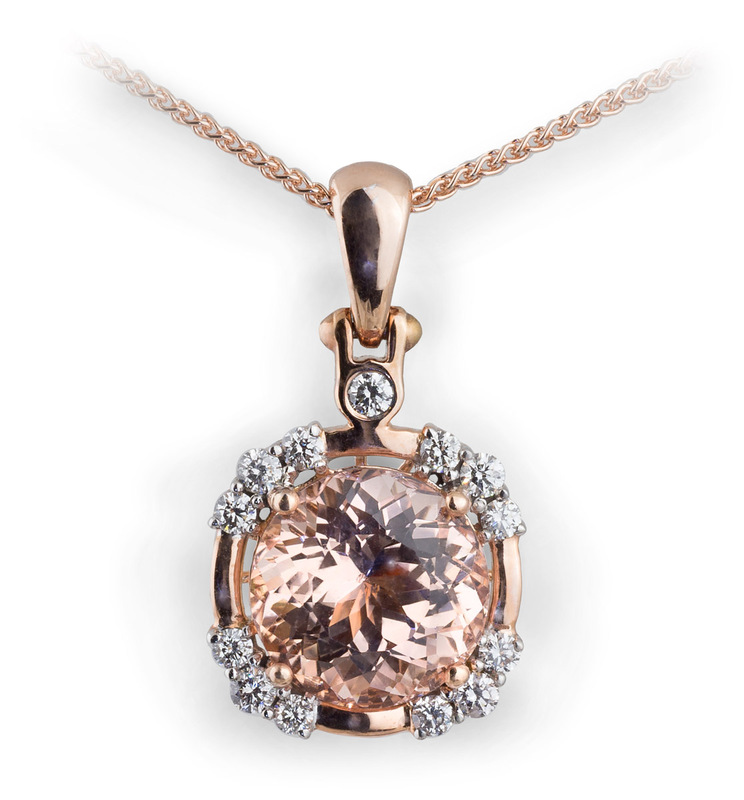 This gorgeous morganite ring features a large round center stone bezel set in rose gold. 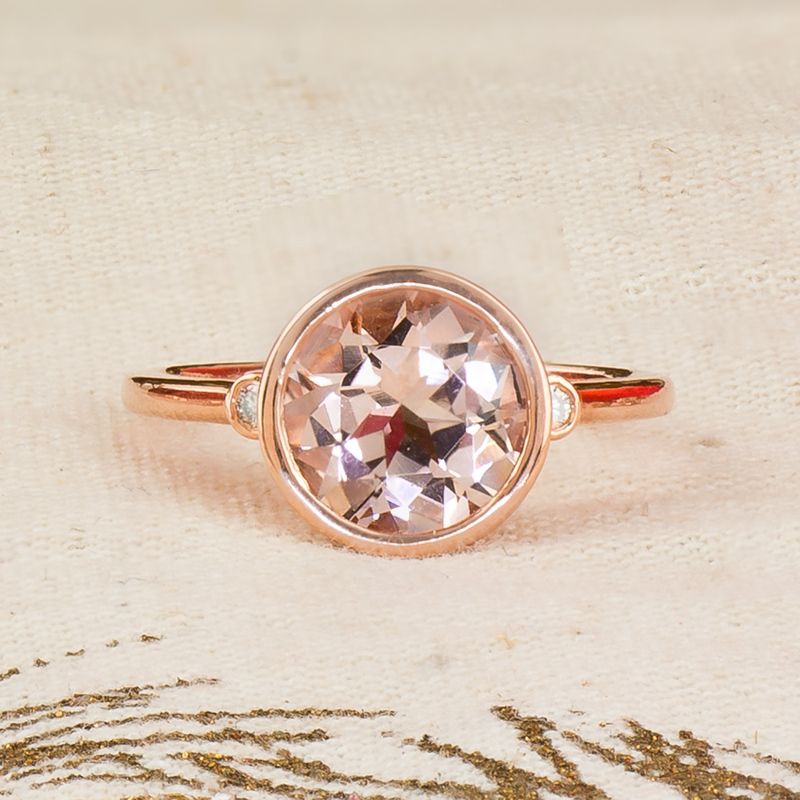 The complimentary colors of the metal and the gem make this piece absolutely stunning and two perfectly sized accent diamonds add just a touch of sparkle to complete the look. 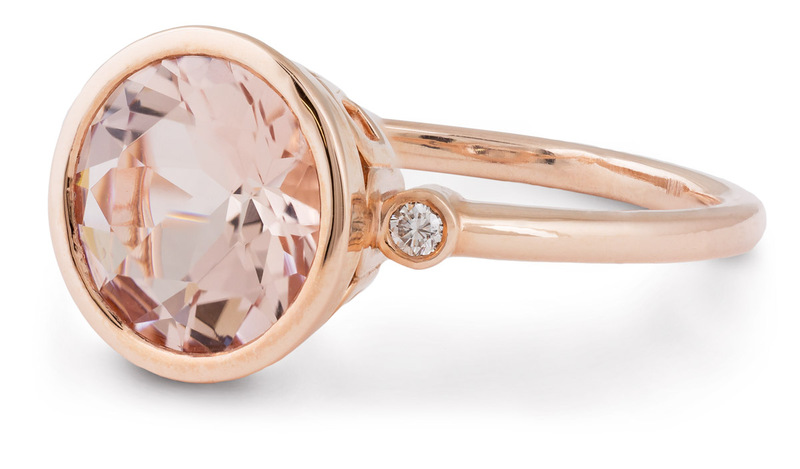 A show stopping ring that’s sure to get compliments everywhere you go.